Stunning curb appeal will make you proud to call this home. Welcoming entry with high ceiling and beautiful tile that continues to the home office. 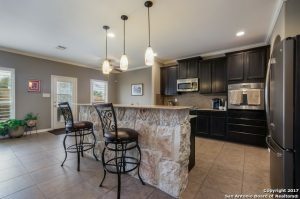 Extensive dining room perfect for family dinners. 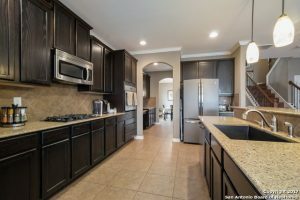 Open Floor plan with gourmet kitchen, lots of storage, stainless steel appliances and granite counters. Eat-in Island opens up to the living room. Each bedroom has ceiling fans and like new flooring. Great natural light through the entire home complements the neutral paint. Backyard has covered patio. 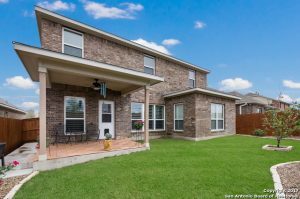 Kings Springs, is one of the most desirable areas in the entire San Antonio Texas region. With excellent schools and a close proximity to the city. it’s an oasis just inside of the city. Thank you for reading about 7831 Kings Springs San Antonio TX 78254.